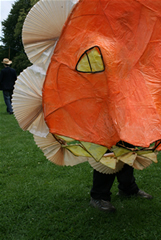 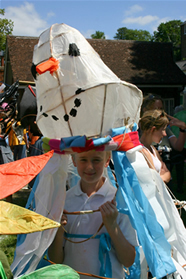 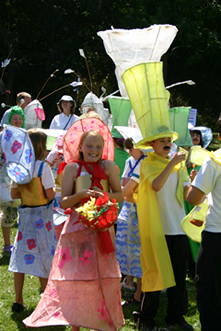 Making costumes, lanterns and giant structures for celebrations. 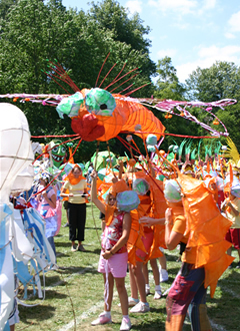 Carnival benefits communities by bringing people together. 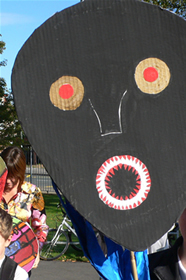 Individuals living side by side do not often have the occasion to communicate, and do not therefore reap the rewards that a closely-knit neighbourhood can bring. 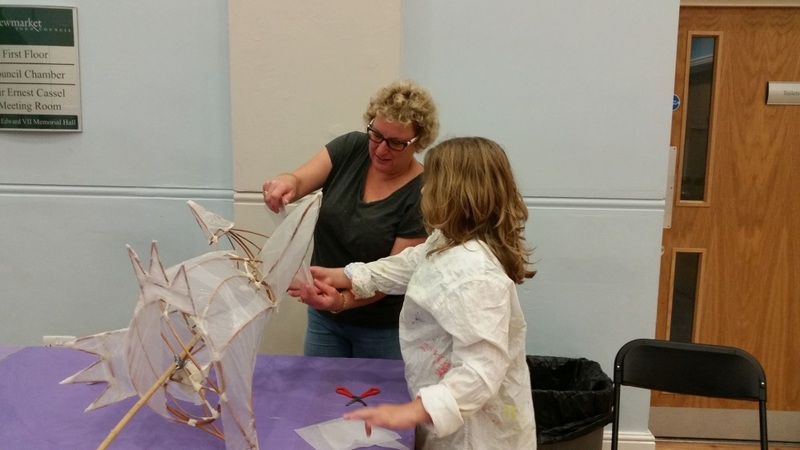 An event, which is put on purely for people to meet each-other, using everybody’s ideas and skills is an opportunity that is rarely open to us in our busy lives. 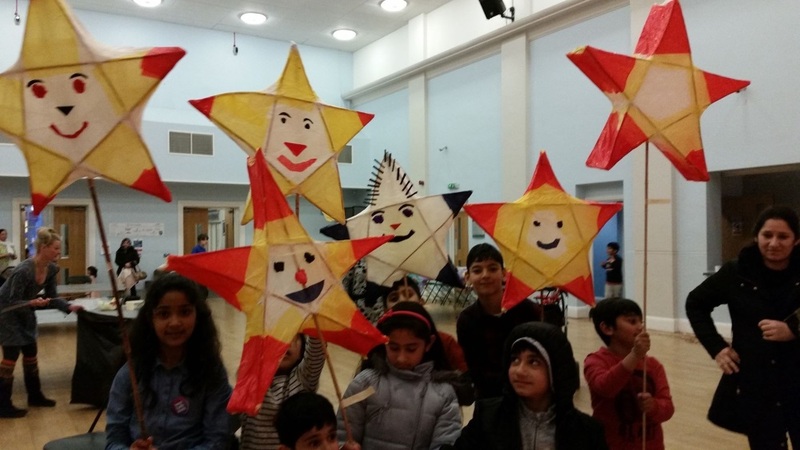 Carnival brings people together from culturally diverse backgrounds and creates a better understanding of varying beliefs and traditions as well as showcasing people’s artwork and encouraging creativity in an inclusive and supportive environment. 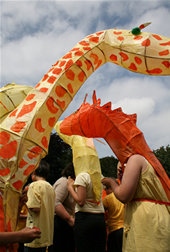 Members of WishWorks have been involved with Same Sky, an organisation that specialises in carnival arts in Brighton, working on events such as the Burning of the Clocks. 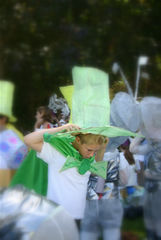 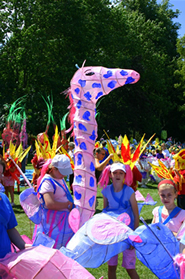 We have project managed many parades since 2003 when we undertook a collaboration with Charles Darwin School in Biggin Hill, Kent to make a giant “Butterfly Snake” for the Biggin Hill carnival. 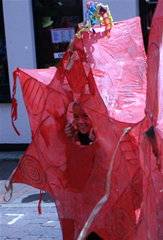 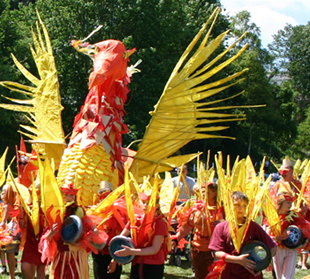 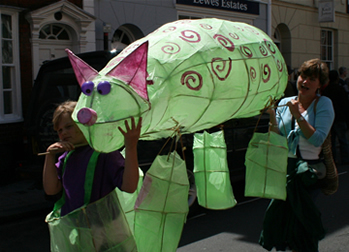 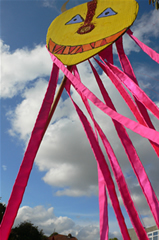 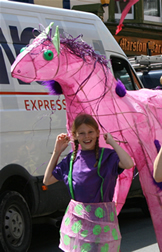 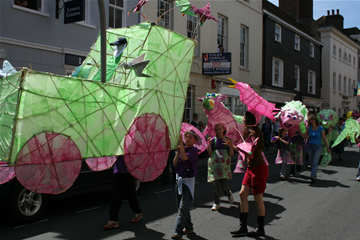 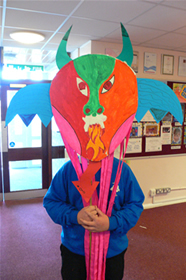 We facilitate workshops within communities to help as many people as possible get involved in making parade structures, such as this dragon for the Newmarket carnival in 2013. 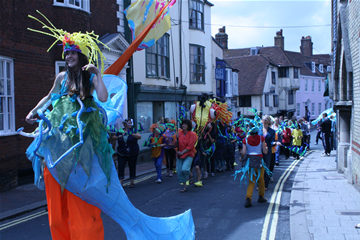 Members of WishWorks are lead artists in the Patina “moving on” carnival in Lewes, a magical annual event which marks the transition between primary and secondary school involving some 730 children and 18 local schools (inclusive of rural and special schools ). 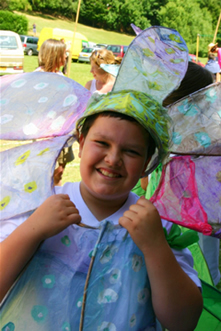 This project is a collaboration between parents, artists, children and local business. 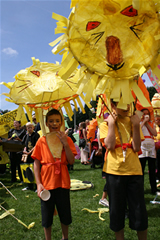 Carnival workshops may take place within schools, in other learning centres or within the community. 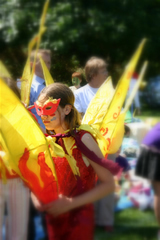 WishWorks like to work with the group’s strengths using games and story to gather their ideas together and make inspired and vibrant costumes and giant structures. 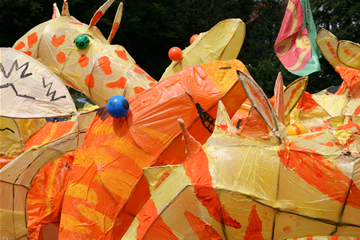 Whatever your wildest ideas are, we can make them larger than life, put music to it and celebrate!